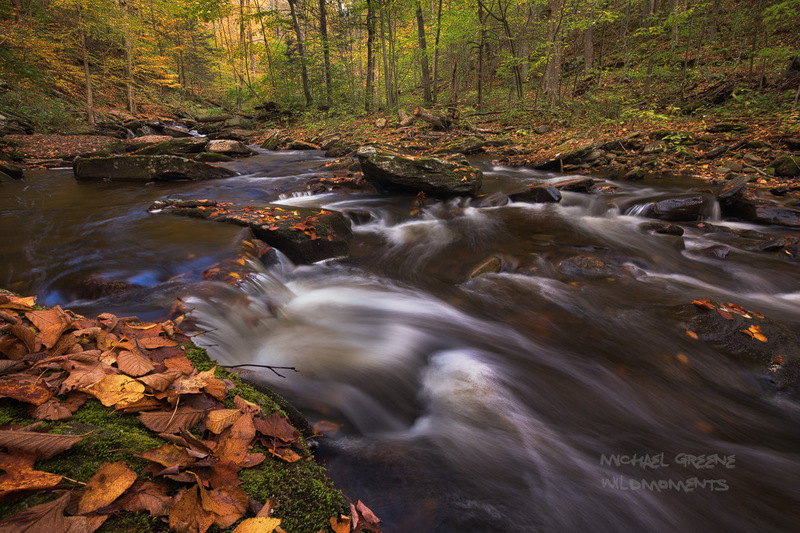 Kitchen Creek flows through Ricketts Glen State Park, which features two gorges (Glen Leigh and Ganoga Glen) that host nearly three dozen waterfalls. Although the park has 23 miles of hiking trails, a 7.3 mile loop hike covers most of the water scenery. Ricketts Glen is located in northeastern Pennsylvania about 30 miles from Wilkes Barre. Photo © copyright by Michael Greene.